Taiga (‘ti·gah’) represents a modern approach to nutrition that holds true to historical principles. Animal protein first, highly digestible legume carbohydrates, fruits, vegetables, digestive enzymes and essential vitamins and minerals. Real ingredients, sourced as local as possible, that enhance health and vitality. A true respect for simple, grain free, highly digestible, meat based diets. 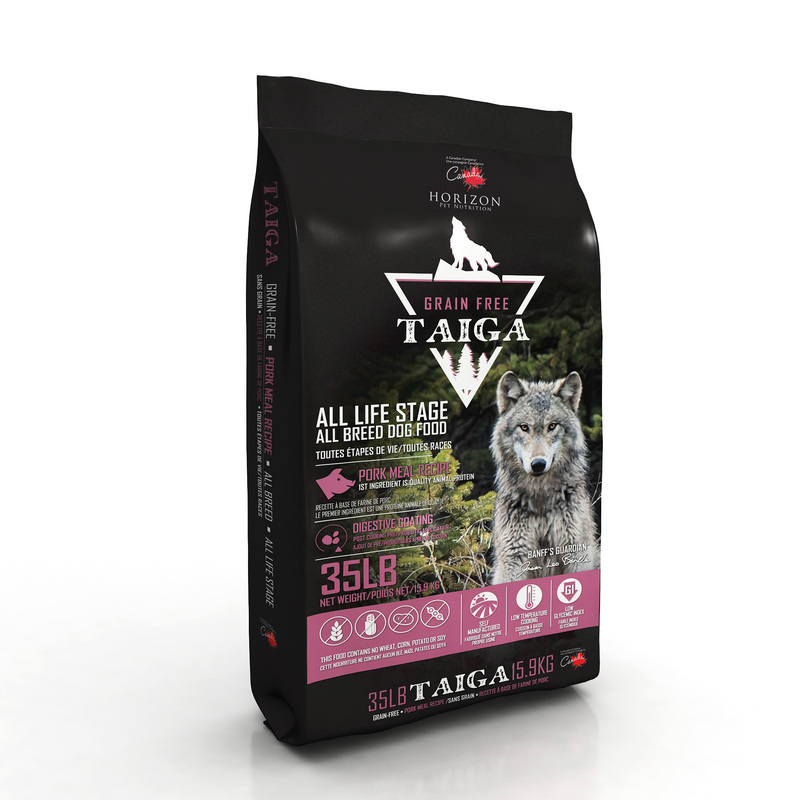 Lastly, Taiga comes in convenient 35 lb/15.9 kg bags only. This focus on large bags allows for us to produce the finished products most efficiently and therefore offer better value to you the consumer. That is the primary ambition of Taiga – the absolute best value in grain free with no sacrifice on quality. You simply can’t do better in balancing quality and cost.